Cruising Down a River is a Relaxing Way to See the World! Where do these cruises go? What are the vessels on these rivers? For the most part they are barge-like vessels, long and flat so they go under bridges. One part are the cabins and the other part are the public rooms. In France you can rent small self-drive barges on the canals, which come with bicycles. You can tie up anywhere, ride into town and get your cheese, bread and wine and you are set. The barges come in various sizes, so take a family or some friends. Let’s look at some of the more common rivers in Europe. From Amsterdam on the Rhine connecting to the Main through Germany connecting to the Danube though Austria, Hungary, Romania and Bulgaria. That whole stretch takes 30 days but the sights are wonderful. Everyday you are in a different city with a tour guide visiting the major sights. Or you can break it up into smaller segments. Starting in the cosmopolitan city of charming Amsterdam, visiting the little villages of Hoorn, Enkhuizen, Veere, Middleburg and the port of Rotterdam as well as the diamond city of Antwerp, ending in the Unesco city of Bruges in Brussels. 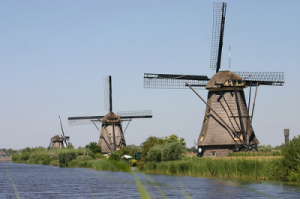 A trip full of culture and history with many exciting tours including Keukenhof Gardens to see the picture-like acres of flowers. 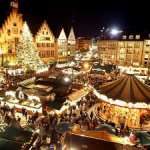 Christmas Markets in Europe: Celebrations, music, and arts and crafts are everywhere. Don’t forget the mulled wine and wonderful food. Adding on pre or post stays in other cities away from the river make these trips memorable. Russia: A cruise from St. Petersburg to Moscow or visa versa on the Volga, Svir and Neva Rivers is the best way to see Russia. No hassling with visas and their restrictions. The tour company takes care of that. You get priority touring to sights that you would have to wait hours to get into. There is safety staying with the tour group that might be an issue if you were on your own. 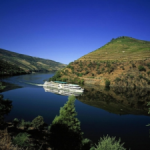 The Douro Valley: In Portugal cruise the beautiful Douro Valley from Lisbon to Porto. Old world flavor through the vineyards, natural beauty and history. Southern France has one river, the Rhone. Cruise from Ares to Chalon-sur-Saone. You are cruising through the heart of Provence and Burgundy. Go a few days early and stay in Marseille with a rental car and travel the coast. Then stay a few days after and take the train to Paris. That is a 3-4 day “must see”. 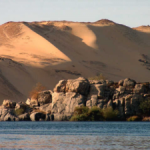 The Nile in Egypt: Most definitely the Nile was the highway in Egypt. There are many classes of river boats on this river. All the way from bare basic to 5* luxury. You definitely need an expert to help sort it all out. All the major sights are stops along the way. Then there are add ons that are “must see”. 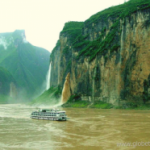 China and the Yangtse River: In China the Yangtse River is the only cruising river. This is not a long cruise so adding pre and post must be included. The sightseeing in China is old, and there is wonderful shopping in Beijing and Shanghai. Or add on Hong Kong and Macau. You will need someone who has been there to give you the best information. Let’s not forget the amazing river cruise on the Amazon River in South America. There are many ways to see this huge waterway with it’s rain forest and vast assortment of wildlife and sea life. This is a wild and tropical place, far from the cities and population. Call me to give you the best River Cruising experience of your life. Cruise & Tour Planners is the expert on river cruising around the world.